Named for a permanent Roman campsite known for its sword manufacturing, the Mainz gladius remains distinctive for its subtly tapered waist and long point. 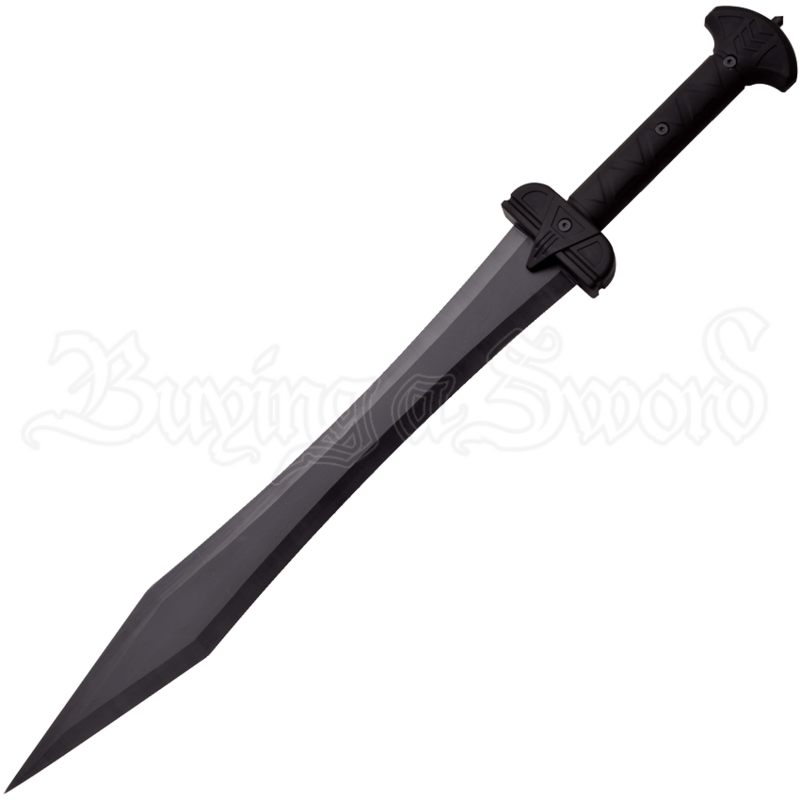 The Black Mainz Gladius displays both of these traits in its design. The stainless steel gladius features a black finish that emphasizes its unique blade shape and matches the black nylon fiber handle. 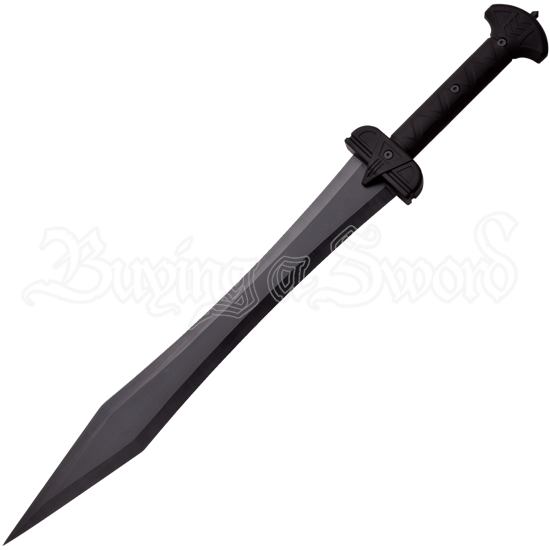 The black coloration of this sword replica gives it a sleek look. This decorative gladius makes a great addition to the collection of Roman history buffs and a striking stage prop. The Roman sword comes with a black nylon sheath that makes it simple to carry or store safely.